Home » News » What are the Applications of Aluminum Forgings? Aircraft forgings: Aircraft forgings account for about 70% by weight of the aircraft materials, such as landing gear, frame, rib, engine parts, the fixed ring and ring.There are thousands of forgings used in a plane, in addition to a small number of high temperature components using high temperature alloy and titanium alloy forgings, the vast majority are aluminum forgings. Taking Boeing company in USA for example, thousands of aircrafts are manufactured each year. This makes them to purchase tens of thousands of tons of aluminum alloy forgings. Aerospace forgings: The main forgings on the spacecraft are forging ring, wheel ring, wing beam and machine seat, ect. Most of these forgings are aluminum forgings, with only a few titanium forgings. The development of spaceships, rockets, missiles, satellites has increased the demand for aluminum forgings. For example, in recent years, the al-li alloy shell forgings developed by our country for the ultra long-range missile weigh more than 300 kilograms each and are worth several hundred thousand yuan. Weapon industry: The number of aluminum alloy forgings used as bearing parts for conventional weapons, such as tanks, armored vehicles, personnel carriers, chariots, rockets, gun racks, and warships has greatly increased, basically replacing steel forgings. In particular, important forgings such as aluminum alloy tank wheel have become important material for lightweight and modernization of weapons equipments. Automobile is the most promising industry, and is also the largest user of aluminum forgings. It is mainly used as wheel hub (especially heavy duty automobile and large and medium passenger car), bumper, base girder and some other small aluminum forgings, among which aluminum wheel hub is the most used aluminum forgings, mainly used in bus, truck and heavy automobile.In recent years, aluminum forging has also started to be used in small and medium-sized cars, motorcycles and high-end cars. In the energy power industry, aluminum forgings will gradually replace some steel forgings to make the frame, guard ring, moving ring and stationary ring as well as coal transport wheels, liquefied natural gas flanges, nuclear power plant fuel racks, etc. Generally are large and medium forgings. Aluminum forgings are used on ships as racks, moving and stationary rings, battery racks, etc. In the mechanical manufacturing industry, currently it is mainly used to make the frame, sliding block, connecting rod and strand plate in the woodworking machinery, textile machinery and so on. 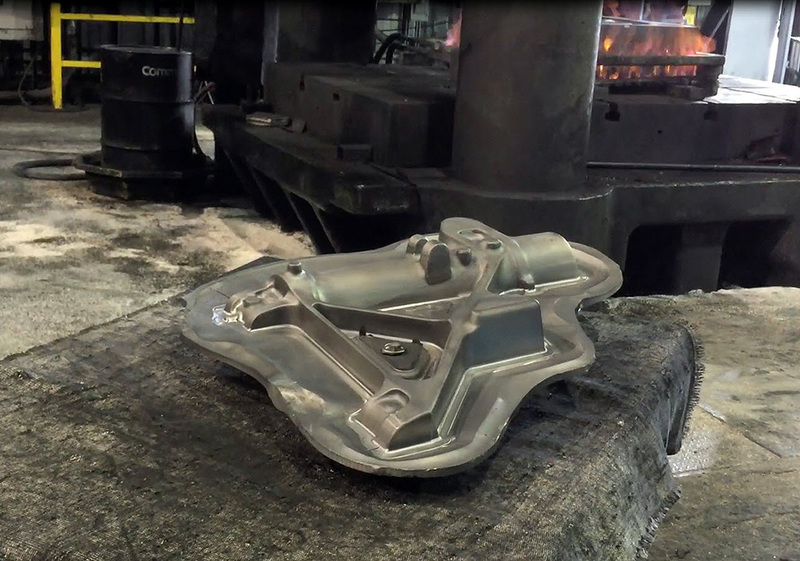 The mold industry uses aluminum forgings to make rubber molds, shoe molds and other light industrial molds. In transport machinery, railway locomotive industry, aluminum forgings are used for cylinder, piston skirt and so on. Domestic consumption of 4032 alloy cylinder and piston skirt and other forgings has been up to ten thousands of pieces . In addition, aluminum forgings have been used to replace steel and copper forgings in electronic communication, household appliances and sports equipment.